Jeremy Davis is five years old and playing with his friend, Sammy, in the woods just outside of Loring Air Force Base, Maine, when he accidentally falls through an old tunnel from World War II. The tunnel is half flooded with water and chemicals from long forgotten scientific experiments. Jeremy is rescued from the tunnel, but his body rejects his skin and his DNA is forever altered. His skin grows back, but discovers that he can hear heartbeats from a distance, feel sap moving in trees. Best of all, he can gather energy from every living thing, giving him amazing and uncontrollable powers. This only frightens his parents and sister. Now he struggles for acceptance in his small family. But soon he realizes the CIA is looking for him as are the original people from the experiments. Jeremy doesn’t know who to trust. This book is written from the perspective of Jeremy Davis from a child and then a teenager. It reads very much like a graphic novel and is quite riveting. We don’t actually know much about the experiments or what has happened to Jeremy’s DNA as he doesn’t know. The fear his mother feels towards him is gut wrenching and I enjoyed reading about his relationship with his father. The book is action packed and moves at quite a pace. Things slow a little around the 60-70% mark of this ebook. 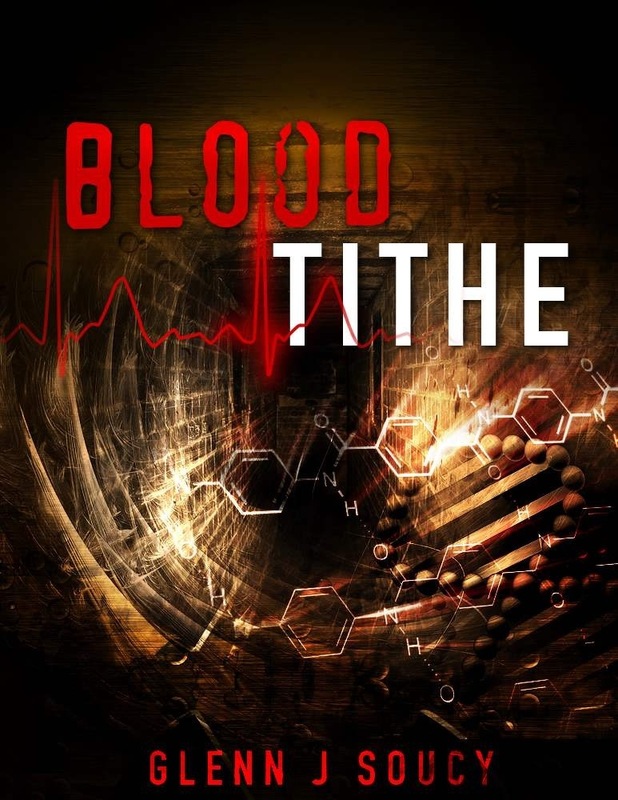 We aren’t told much about the blood tithe until the last third of the book and the first book just begins to explain as it ends. I look forward to reading the second book to find out more and hope Jeremy catches a break in the sequel and we are filled in about the experiments and the people involved.